Tired of having to take your guitar to the shop for every little thing, then being without it for days or weeks while they work on it? Learn what easy DIY-procedures you can do yourself, as well as what you can’t (or probably shouldn’t). Some things are best left to a pro repair tech or luthier, and I’ll let you know what those are along the way. https://www.guitaranswerguy.com/wp-content/uploads/2018/09/feat_change_strings.jpg 290 833 Guitar Answer Guy http://www.guitaranswerguy.com/wp-content/uploads/2015/11/logo_170x125.png Guitar Answer Guy2018-10-01 03:00:082019-03-21 15:28:50How Often Should I Change Guitar Strings? Guitar Action – What’s a Good String Height? 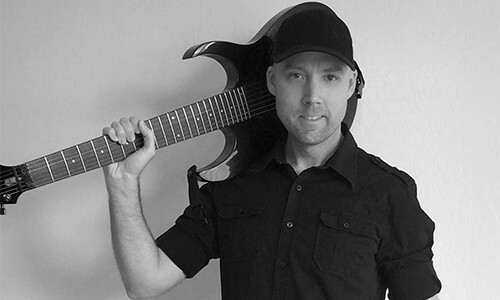 https://www.guitaranswerguy.com/wp-content/uploads/2018/01/feat_guitar_action.jpg 290 833 Guitar Answer Guy http://www.guitaranswerguy.com/wp-content/uploads/2015/11/logo_170x125.png Guitar Answer Guy2018-01-15 03:00:282019-04-12 08:09:22Guitar Action - What's a Good String Height? https://www.guitaranswerguy.com/wp-content/uploads/2017/12/feat_chords_out_of_tune.jpg 290 833 Guitar Answer Guy http://www.guitaranswerguy.com/wp-content/uploads/2015/11/logo_170x125.png Guitar Answer Guy2017-12-04 03:00:342019-03-21 16:11:48Why Do Some of My Guitar Chords Sound Out of Tune?